As you think about financing your education, this important question comes up regularly: Do I need a co-borrower? Most student borrowers don’t know how to answer this because they don’t know how they will measure up on their own from a credit perspective and whether or not a co-borrower will be required to secure their loan. Here are some tips on how to think about a co-borrower and what you (and they) should know before joining together on a loan. A co-borrower, or cosigner, is another person who agrees to “be responsible” for a loan in partnership with the primary borrower. The cosigner takes on the same debt as the borrower and is equally liable for the repayment of the loan. 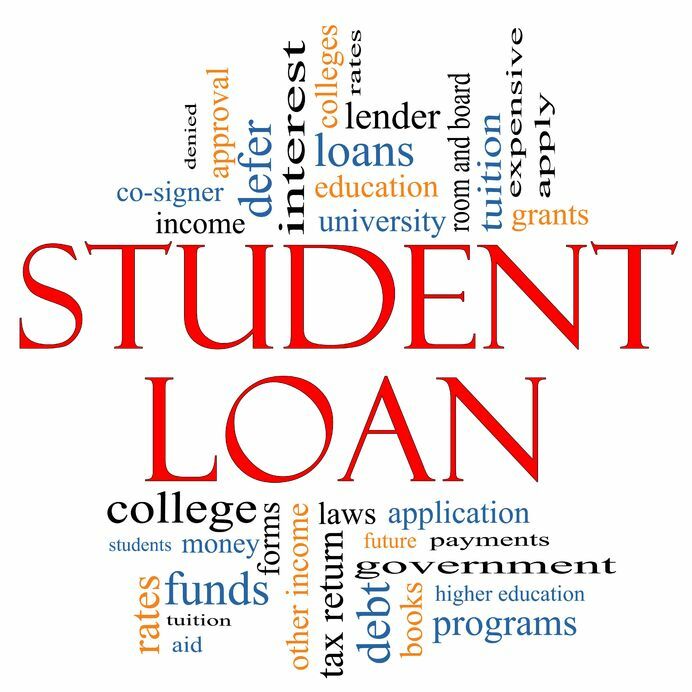 If a student cannot pay his or her loan, the lender will require the co-borrower to pay. If the student goes into default, it not only affects the student’s credit report, but also the co-borrower’s credit report. This being the case, it is easy to see that asking someone to co-sign or being a co-signer on a loan is not a small decision. Why would I need a co-borrower? There are many reasons why students need co-borrowers.Typically, most students do not have much of a history when it comes to credit and, therefore, are not able to be approved without the backing of a cosigner. A cosigner with a longer credit history and more stable credit performance can provide the additional requirements a lender looks for in the approval of a loan. Also, when reviewing your loan options, many lenders calculate what’s called DTI or debt-to-income ratio, which helps them understand the current debt you have compared to your income and ability to repay that debt. If a student has a high amount of debt and their current and/or expected income (depending on the specific lender’s strategy) is low, then a co-borrower can help since most lenders take a co-borrower’s income into consideration when they calculate this metric. Your personal credit score is too low. No matter how great your co-borrower’s credit score may be, it cannot raise yours to great heights. You are a part of this equation, and if your score is too low, you could be out of luck. You have a major delinquency or collection on a loan or credit card. Financial institutions are looking to see how well you will pay on the loan for which you are applying. If you’ve had trouble paying on a previous debt, they will consider this as a possible indication of your future ability to pay back a loan and deny you based on this past poor performance. No matter if you are looking to get an educational loan, an auto loan, or even a mortgage, there are steps you should take to improve your chances of getting a good loan with or without a co-borrower. Look at your credit report and take steps to improve your own loan performance. This can’t be stressed enough. LOOK AT YOUR CREDIT REPORT. Looking at not only your score but also the data creditors have reported about you will give you a sense of how you are performing. The app you are using may also give you tips on how to improve your credit score, but NOTHING beats looking at your credit report to determine where you stand. All three credit reporting agencies (Equifax, TransUnion, and Experian) have separate reporting systems. It is best to get reports for each one, and they are required to send you a free copy at least once a year. If you think you need a co-borrower, be smart about your selection. Most people think only of family as a cosigner resource. This is certainly a good place to start and many people have family members who are willing to put their name on a loan for you, but do not limit yourself to only family. Mentors, close friends, even previous bosses, can be co-borrowers on educational loans. Have a frank discussion with your potential co-borrower about their credit history and performance. Not only should your co-borrower understand exactly why you need them for a loan, but an applicant should know exactly what the co-borrower brings to the table. This is not always an easy discussion. Some people treat their credit score like their social security number – no one gets to know it. But you need to understand if this person is going to improve your application or not. Have they ever been in collections? When was the last time they looked at their credit report? Answering the above questions will help you know if they will improve your loan application or drag it down. Make sure you co-signer understands what they are agreeing to do. As discussed earlier, the co-signer is equally liable for the debt – so in fairness to them, they should have a clear understanding of the commitment. While co-borrowers can be a helpful resource – and in some cases make the difference in whether or not a loan is approved, don’t underestimate your ability to get a loan on your own without a cosigner. More and more lenders are looking at alternative credit – including rental payment history, utility payments, and even academic performance for student lending as we do at Meritize – to increase loan options for those who otherwise have thin credit profiles. Knowing and actively managing your credit score will serve you well in your ability to secure credit on your own merit.